Last night I used one of the Michael's gift cards I received for the holidays to buy the book Socks from the Toe Up. It's written by Wendy Johnson of the blog Wendy Knits. I'm still working on the toe of my very first sock, but I definitely see more socks in my future and hope that in another month or so I will have the skills (and confidence) to attempt fancier socks, perhaps with lace or cables. 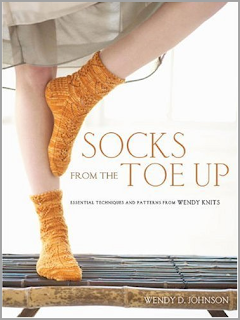 The book includes over 20 sock patterns and lots of clear instructions for toe, heel, cast-on, and bind-off techniques. I have to confess I love books on creativity. For many years I pushed away my creative impulses and still struggle with allowing myself the time and space to play and create. 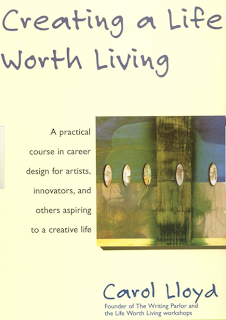 I'm currently reading Creating a Life Worth Living by Carol Lloyd, and it's one of the better books I've come across on the subject. This weekend I'm finally going to watch Julie and Julia. I didn't like the book very much, but I'm hopeful I'll like the movie since it has Meryl Streep and Amy Adams, two of my favorite actresses. The Sound of Music is probably my all-time favorite movie. I saw it for the first time three or four years ago and now make sure I catch it every year when it's broadcast on television around the holidays. I have this memory of a childhood friend telling me she couldn't come out to play one afternoon because her mom was making her watch The Sound of Music, and I thought that sounded like a cruel punishment. Little did I know. Last week I bought the soundtrack and oh boy, it's a joy to listen to. I've been singing Do-Re-Mi for days. I'm still on my audio book kick. I don't read mysteries very often, but I love to listen to them in the car while commuting to work and sometimes when I knit. I'm currently listening to to The Associate by John Grisham and it's compelling. I lost interest in his books years ago, but this one has grabbed me. Well, that's my Wednesday medley. What are you reading and watching and listening to? I'd love to know. Love your Wednesday Medley post today. Julie and Julia=book no but yes to video. Love the Sound of Music. I do not read many mysteries. Maybe I would on CD while knitting. Looks like two good books. You always find the best books and magazines! My car was broken into last night. So, I am really needing to apply my resolution word: ACCEPTANCE. Pooh. You go girl! You can make anything and I wish I could. I am wearing a pair of knitted footies right now. I love them so much and they have a hole in the bottom :( It is sad but I just wear them over my socks! I hope you enjoy all of your books and the movie. I haven't seen that one but I do love Meryl Streep. I have seen The Sound of Music a number of times and for years I dreamed of running that hill... just like in the movie, singing my little heart out! Have a wonderful evening my dear friend! I knew you were a kindred spirit! 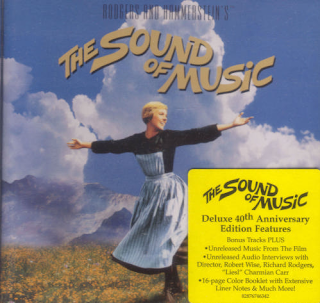 The Sound of Music is my absolute favourite movie and has been since I first saw it at the age of 6! I'm sure you'll like Julia and Julia - I thought it was great. I love Meryl Streep and she's wonderful in the movie. I didn't read the book, though; don't let it colour your opinion of the movie. I'm going to check out that creativity book. Maybe if I read enough of them, something will sink in. Can't wait to see your sox! I had forgotten whose blog I clicked on (because I'm also having a Skype conversation with Cheryl at the moment) and when I saw the book I thought, "I should tell Stacy about this book." Duh! my Webster likes Friskies Medley...oh I digressed! Love the sock projects you are working on and challenging yourself..that's how creativity works..once you crack that egg...there's no stopping a person...grow grow grow..that's what life is for...grow! singing do re mi...what do the cats think? Great post! Those books look great! I agree with Cory-book no, video yes for Julie and Julia. Loved the film. I wish we could knit together - a great inspiring pair, we'd make! Oooh fun! I love your choices -- especially The Sound of Music! Just watched The Reader (LOVED it! ), am reading Olive Kitteridge (and I'm taking too long) and I'm knitting cable socks. I can't wait to see where your sock adventure takes you! I'm listening to "A Lion Among Men". Great purchase on Wendy's sock knitting book. I am a newish sock knitter and love her toe-up instructions and heal variations. They work out really well! My guilty pleasure is The Sound of Music. Whenever my fiance sees that coming out of hiding, he runs for the hills! 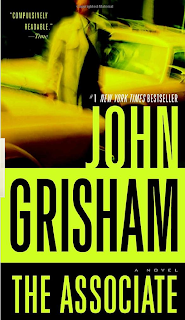 I have not read a Grisham book in years. I will pick this one up. Have fun knitting socks...I didn't know people have knitted socks. Are they bulky? Your new knitting book looks fab. I love your choice of wool for the socks. I love books on creativity too, like you. I've not come across the book by Carol Lloyd, but have added it to my wish list. I'm listening to Steve Maraboli’s podcasts (link on my blog in a recent post 31 things to do in Jan). I love listening to audio books too, like you. I've just finished Eckhart Tolle's new earth on audio, which I'll blog about soon. It was very interesting. I'm reading 'I'd rather be in the studio' at the moment. It is a good read too, alongside great big heavy expensive text books for my PhD! 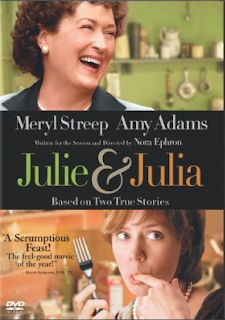 Julie and Julia definitely sounds worth watching and I am very interested in the other books You have share with us. I am hoping my piggy-bank will gain a little girth soon, that I might purchase the wonderful sock book. As You have probably guessed I am (just about) back in the blogiverse again. And very Happy I am about it too. It's Lovely to be back here reading Your blog again,I can tell You. Hope You are having an enjoyable still quite New Year, sounds like You have booked a very creative one ahead. You are such an inspiration! So many really cool things interest you and you just go for them. I'm going to order the creativity book, thanks for sharing. I hope you loved Julie and Julia as much as I did. I've watched it 3 times by now. Inspirational!